San Diego, California – April 2, 2017. San Diego’s corporate rental service, Key Housing is proud to announce the Valentia of La Jolla as their featured corporate rental for April. Given how tight the corporate rental market is in San Diego and all of Southern California, the monthly selection helps interested parties identify promising opportunities for their short term rental needs. To see the Valentia, La Jolla , please visit the website. Extended stay corporate housing at Valentia includes full kitchens, furnished apartments and several important on-site amenities. 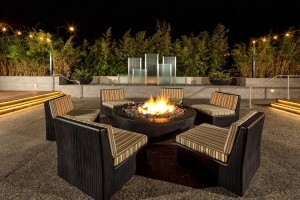 For more information about other San Diego corporate rentals , please refer (again) to the lively website. Contracted employees can see options for temporary housing for families and pets. Among the reasons Valentia won out as the featured property for April are the following. First, Valentia’s corporate rentals offer furnished apartments and several amenities for a healthy lifestyle. Second, on-site gym and indoor racquetball courts along with resort-style pool and sauna can be open any time the employee needs the exercise. Third, Skyline views and dazzling Southern California sunsets can also calm the nerves and renew the spirit. Fourth, Close proximity to world-class shopping and dining may also be the type of perk an extended stay employee desires. San Diego corporate rentals may have the best temporary housing employees need at the Valentia, La Jolla. Busy on-contract employees may work odd hours to accommodate a difficult-to-fill schedule. Medical professionals such as nurses and doctors could be hired short-term to fill graveyard shift slots in busy cities such as San Diego. Grueling hours on the job can cause even the most dedicated medical staff to become weary. A prescription for plenty of sun and relaxation may be the way to re-energize a contracted employee. Corporate rentals at Valentia in San Diego can offer a sunny California lifestyle 24 hours a day. A nurse coming off work at 8am can enjoy a dip in the pool, for example. Availability to relaxing amenities on-site may be the right choice for healthcare services needing top talent. But truly anyone looking for corporate rentals in Southern California should take a look at this month’s featured property. Based in Folsom, California, Key Housing Connections Inc. specializes in corporate housing and corporate rentals in large cities like San Diego, Los Angeles or San Diego as well as smaller cities like San Mateo, Pasadena and Walnut Creek. Key Housing is a leader in affordable, friendly, short-term and corporate housing rentals in places like Redwood City, Santa Monica, Newport Beach and just about every city in California. Whether it’s serviced apartments or a furnished rental, just search, click or call today! This entry was posted in Press Releases and tagged San Diego Corporate Housing, San Diego Rentals, San Diego Short Term Rentals on April 1, 2017 by Lee McDonald.